Concrete is a fairly inexpensive, flexible material often used on sidewalks, driveways, patios, and more. Despite its popularity, concrete surfaces are prone to a number of potential issues that require repairs, such as cracks, discoloration, or foundation cracks. 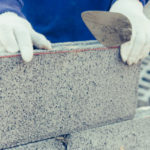 Both new and old concrete may show signs of damage depending on a number of factors, including original installation of the foundation and concrete, weather, soil type, and more. Is your concrete patio cracked or discolored? Read on to learn about the most common concrete patio repair issues. Cracks are one of the most common issues presented by concrete. Concrete cracks can appear within the first 30 days of installation. If concrete is properly poured and sealed under ideal conditions, cracks should be so minimal it takes a lot of investigating to find them. 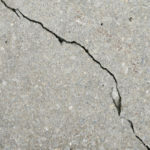 On the other hand, if less than ideal conditions arise or if your concrete is not properly installed larger cracks can break through the surface. Adding too much water to a concrete mix results in the mix shrinking as the water evaporates, causing cracks to form. 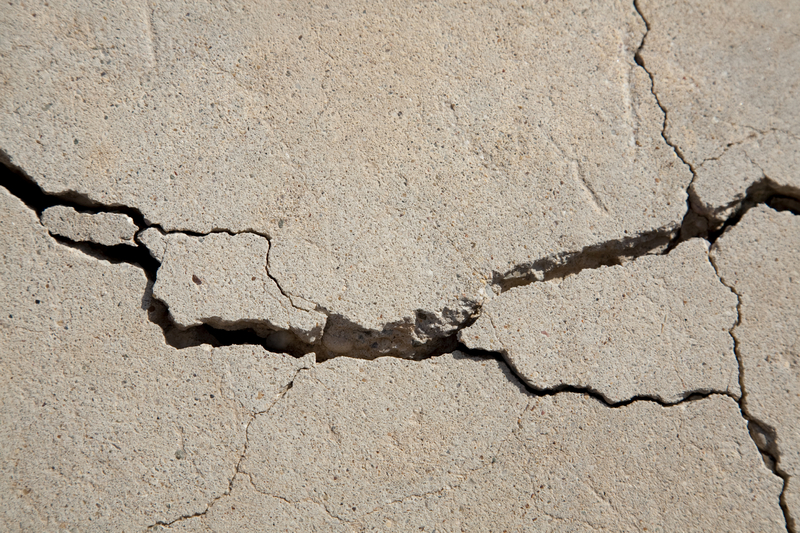 Heavy rains, and extreme temperatures during the time of installation can also play a role in concrete cracks. Wait a solid month for the concrete to fully set and if there are cracks large enough to slip a coin inside, your cracks are large enough to warrant concern. Over time, concrete patios are prone to cracking. In fact, as the saying goes—concrete is guaranteed to do two things, get hard and crack. Unless cracks are large enough to be of concern there is little to worry about. 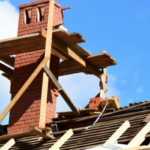 If cracks are large enough to be considered an eye sore you should contact a professional to come out and inspect the issue. Back in the day, people were forced to resort to tearing up old, cracked concrete and pouring new concrete. Today, there are other options, such as fillers, that can be used to reduce cracks in concrete without making any serious repairs. Foundation issues often appear as less serious home improvement projects. If the foundation of your concrete patio was not properly set problems are sure to arise. 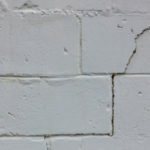 A foundation needs to be thick enough to support the concrete poured above, otherwise the actual foundation will crack. Other factors that contribute to concrete foundation problems include expansive soil, inadequate drainage, and plumbing leaks. If water drains directly beneath your patio you are likely to experience issues with the foundation over time. Adequate gutters and downspouts are necessary implementations to keep water away from the foundation of your patio, as well as the foundation of your home. Water can also leak beneath your foundation from unknown sources, such as a small leak in plumbing from a bathroom, sink, or tub. If these leaks shift or erode the soil the foundation can become unstable. Certain areas are more prone to foundation damage caused by expansive soils. Expansive soils greatly expand and contract as they fill up with water and then dry out, and it is this excessive movement that can eventually lead to a cracked foundation. When to repair or replace concrete. Concrete is prone to showing signs of discoloration for a number of reasons. Moisture is a leading cause of concrete discoloration, and depending on where your concrete patio is located its exposure to water will vary. For instance, if your patio is situated below an irrigated hillside, this water will continually drain down onto the concrete, changing its color in places. If the patio does not get much exposure to sunlight, the effects will set in much quicker. In order to stop the discoloration you will need to create some type of drainage block that stops the source of water from reaching the patio. There are also certain water sealants you can apply to concrete to help, but this won’t take care of the issue completely. If you notice white stains building up on concrete this is a result of efflorescence, which is a natural process caused by moisture. The white stains result as the concrete cures and releases moisture into the air. As the water turns to vapor it leaves behind dissolved salts and minerals in the concrete mixture. These minerals are left on the surface of the concrete, thus creating the whitish steaks. In most cases the white steaks should go away with time, but this depends on the makeup of the concrete and how long it takes for it to completely cure and dry out. If the problem continues to linger on you should seek advice from a professional. If you get a lot of use out of your patio chances are someone is going to spill wine, grease, coffee, or something else onto the ground surface at some point. You can remove most patio stains on your own using a stiff bristle brush, water, dish soap, and a mixture of 50% water and 50% vinegar. Make sure to rinse with water when done, and keep vinegar away from any surrounding plant life. Turnbull Masonry will erase all of your concrete issues with fast, reliable repairs our customers have relied on for over 12 years.